Go-ToRealtor.com! | …your expert and friend in real estate! My Current and Closed Listings! According to the Fort Worth Star Telegram (March 22, 2018, Bill Hanna), the Dallas-Fort Worth-Arlington metropolitan area’s 146,000-resident jump in 2017 was the most of any metro area in the United States. And six of the top 10 fastest-growing counties in the United States were also in Texas, including Tarrant, Dallas, Denton and Collin. The U.S. Census Bureau released its list of fastest growing cities on May 24, 2018. Texas figures prominently, with San Antonio topping the list at more than 60 new residents daily (24,208 in 2017). Dallas and Ft. Worth also made the top 5 at spots 3 and 4. 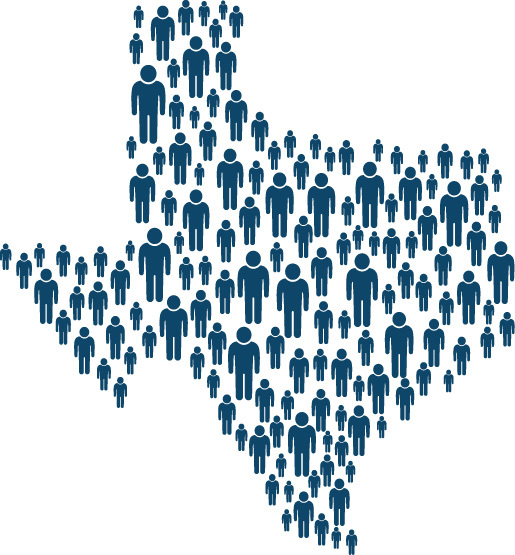 Dallas added 18,935 residents, while Ft. Worth gained 18,664. Frisco topped the list for largest percentage growth, at 8.2% in 2017. The growth gave Frisco the 9th largest numeric increase on the list, as well. Other Texas cities on the largest % increase list were New Braunfels (#2), Pflugerville (#3), Georgetown (#6), McKinney (9), Flowermound (#11) and Cedar Park (#13). Sizewise, Ft. Worth became the nation’s 15th largest city, displacing Indianapolis, and threatening Columbus, OH for 14th. At the rate it is growing, Ft. Worth could overtake San Francisco and Jacksonville in the near future. Houston (#4), San Antonio (#7), Dallas (#9) and Austin (#11) were the other Texas cities on the top 15 list by size. The market here is unprecedented in its growth and direction with North Texas Real Estate Information System (NTREIS) prices continually increasing annually between 4-10% depending on the area of DFW between May 2017 and May 2018. That means that you need a trusted friend and expert in this market. Buying or Leasing is overwhelming in such a dynamic market unless you have a prepared team to help you get everything lined up and then help you to find the right place to call your home. And, while the market is hot, there are still those homes that just sit there waiting to be sold or leased. I am aggressive in marketing techniques, including email blasts and social media along with good old fashioned open houses and word of mouth. If you are looking in the DFW or Austin or even investments in the Corpus Christi-Rockport-Copano Bay area, I am your friend and expert, and your Go-toRealtor! Use the Contact Form and let me help you navigate your way through buying, selling and/or leasing! DFW Area home sales and prices hit records! Does Home Loan Lingo Have You Confused? Condos and Townhomes for sale in the ATX! …your expert and friend in real estate! Offering creative solutions for buyers and strategic marketing for sellers! Call, text or email me any time! Please sign up to receive my updates!